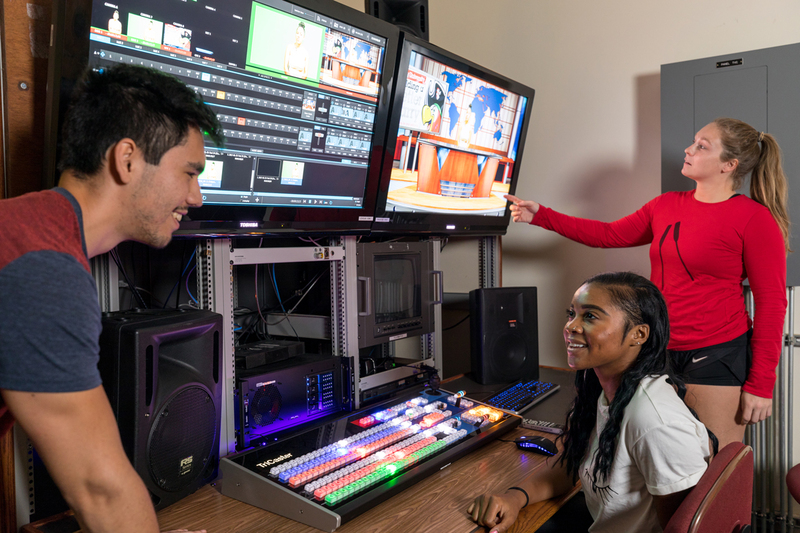 Named after the famed television journalist David Brinkley, who inaugurated the facility, the Brinkley Studio offers students a place to gain practical experience with professional-grade equipment. 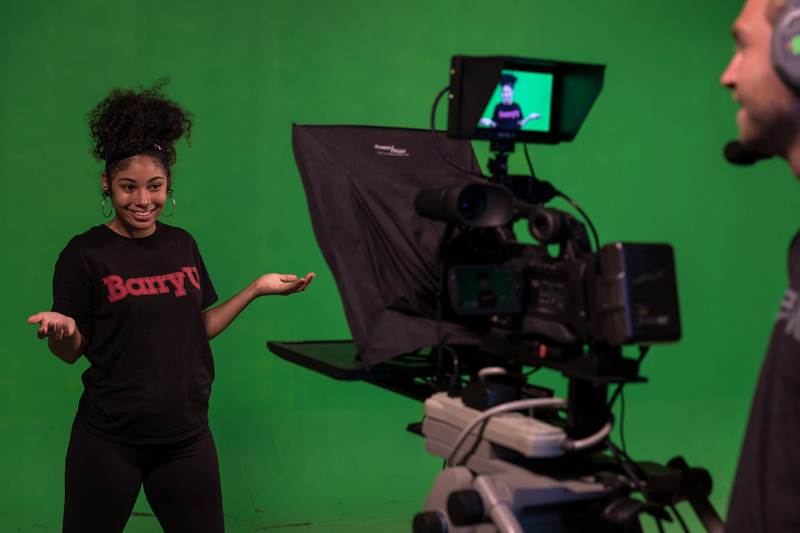 With over 2,000 square feet of set space and a 16-foot lighting grid height, the studio offers Barry students an impressive facility for studio-based productions. 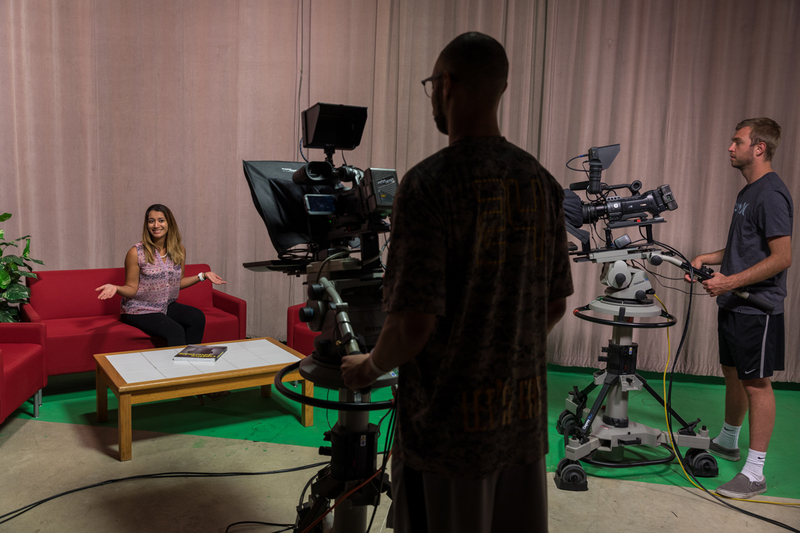 The television studio has ample space for three-camera videography, multiple sets, and Chromakey green screen photography. The studio and its control room contain a switcher, digital video editor, teleprompter, and audio facilities. 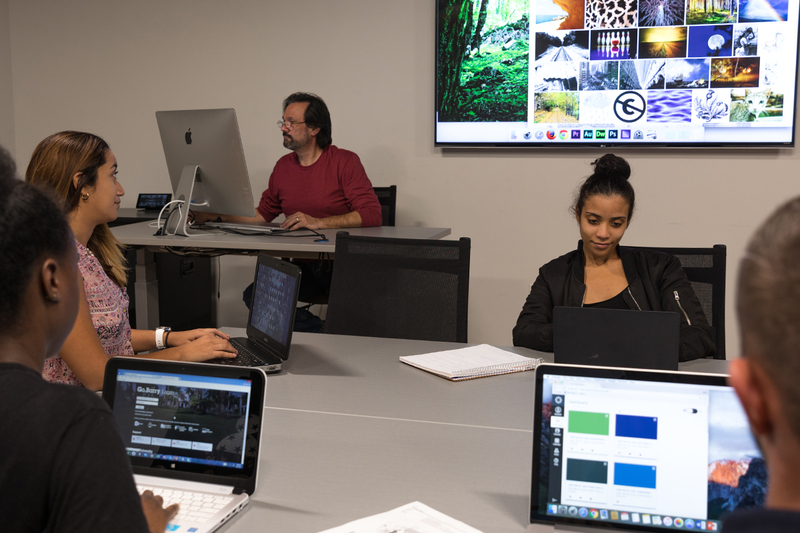 Our new Digital Media Lab is an all-Macintosh environment and provides our students access to a range of digital-media production tools, such as the Adobe Creative Suite and other media production software. Located in the Garner Building next to the Department of Communication offices, the Student Media Center is the headquarters for media production on the Barry University campus. 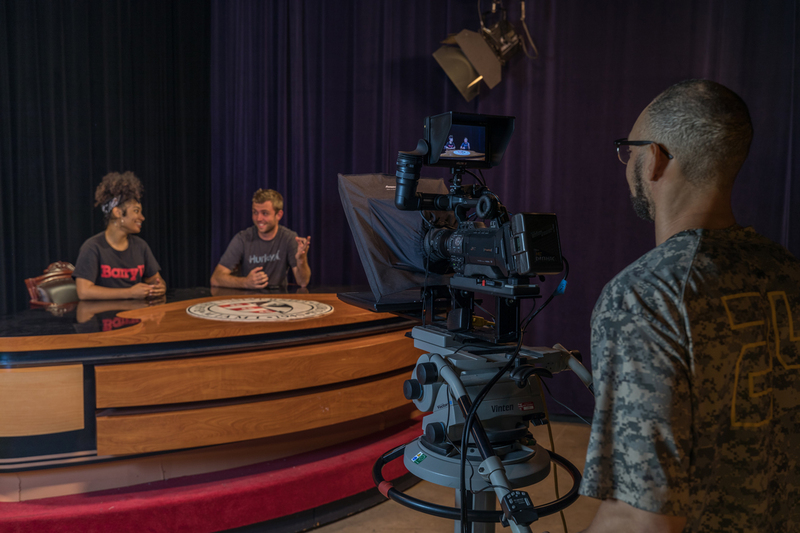 The center includes the Media Services Center, the David Brinkley Television Studio, and Barry Student Media facilities, including the campus radio station, cable channel, and newspaper. These facilities allow students to create polished media projects and learn skills that translate to professional experience. Students are guided by talented professors through the production process, and they learn the nuances of crafting media. They also have access to production equipment and facilities that are representative of professional sets and studios. 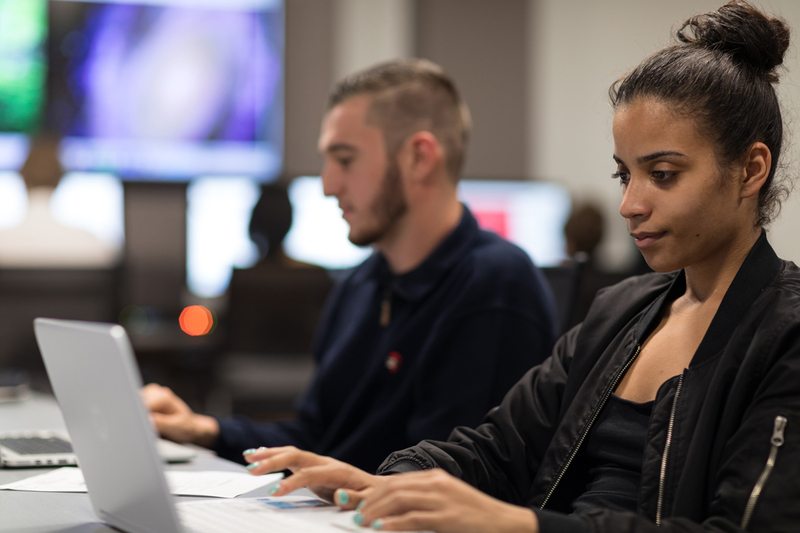 The Media Services Center (MSC) has all the equipment students need to complete production assignments for their classes, campus media projects, or independent student productions. MSC equipment distribution is available six days a week and provides a complete range of production gear, including HD cameras, field lighting equipment, portable tripods, audio recorders, and specialized microphones and other sound gear. The Media Services Center staff provides guidance and support for students, the campus radio station, and cable TV channel. MSC staff is trained to offer media engineering support, set building and design assistance, as well as studio and post-production technical support. The center’s post-production facilities include audio booths and several Mac-based digital video editing labs running both AVID and Adobe suites. 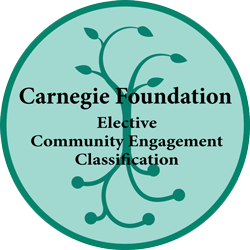 The Department of Communication encourages students to get involved with student media. 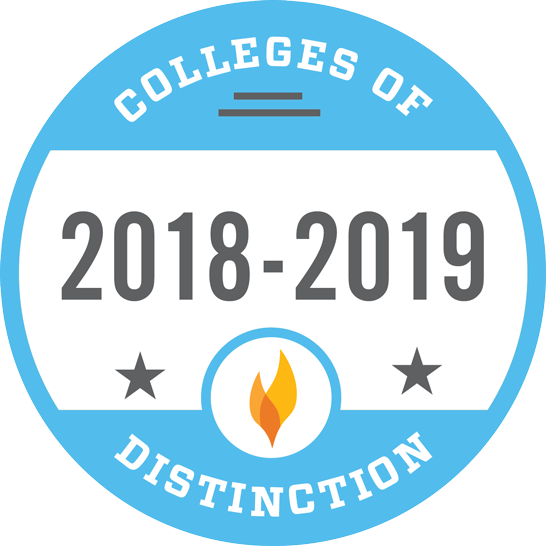 Participation with student media organizations - such as the 99.5 The Mix campus radio station, the campus cable channel, and the Barry Buccaneer newspaper – allows students to practice their craft while getting involved in Barry's vibrant and diverse campus life.